AS THE lives of Australia's top cricketers crumbled this week in the wake of the ball tampering scandal, their glamorous partners were unwittingly dragged into the saga. 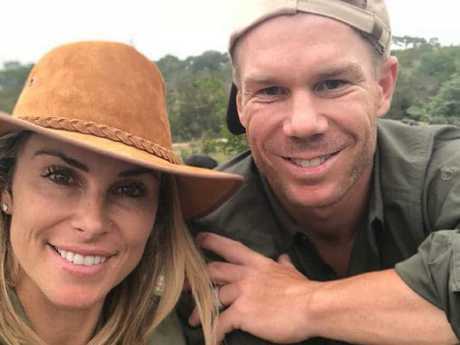 Several cricket wives and girlfriends were targeted by angry fans on social media while they were still in South Africa supporting their partners - some with young children in tow. Most have gone into lockdown, quickly returning home and keeping their heads down when followed by the paparazzi. So who are the women behind these famous men? We took a look at the most high profile Australian cricket WAGs. What a month it's been for Candice Warner. First, she was used as bait by South African players in a sledge against her husband. It's believed South Africa's Quinton de Kock made a comment about her infamous toilet tryst with Sonny Bill Williams in a Sydney hotel in 2007. 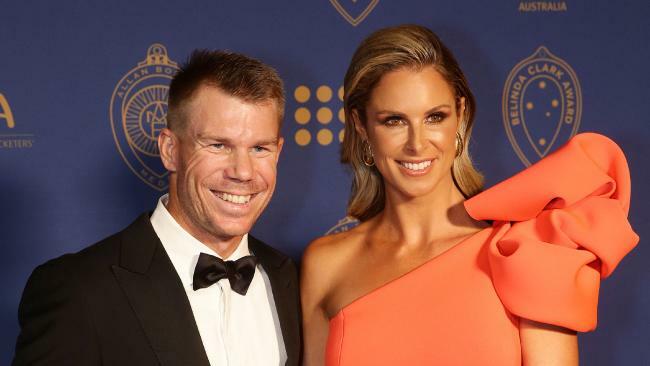 And now she's received a tirade of abuse from cricket fans on social media since it was revealed Warner was part of the "leadership group" involved in the ball tampering incident. "Your husband is a cheater ... shame on him," one commenter posted on Candice's Instagram page. "They deserve a lifetime ban ... cheater," wrote another. Candice, 33, is an ironwoman who has been linked to several high profile athletes before she met Warner, including Braith Anasta, Matt Henjak, Matt Poole, Brent Staker, Anderson Luis de Abreu Oliveira, David Carney and Marcos Baghdatis. The couple have two young daughters and currently live in a $2.3 million "in-between home" in Sydney's Maroubra while they wait for their house to be built 800 metres down the road in Lurline Bay. 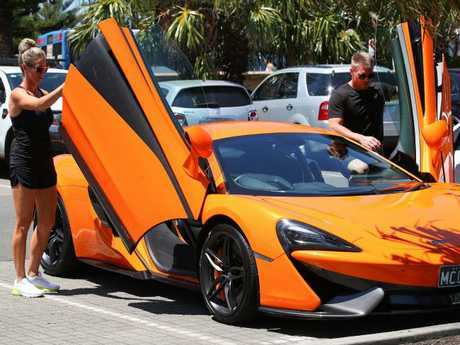 On Valentine's Day the couple were photographed enjoying a ride in an expensive orange McLaren car. Dani and Steve met in 2011 when she was a law and commerce student. He proposed last year and they are set to marry in 2018. Dani has also been on the receiving end of abuse on Instagram this week, but her 65,000 Instagram followers have rallied around her. "Don't listen to the haters Dani. We are with you and always will. You haters can't you just see that they are so humble and honest in owning it," one supporter wrote. Smith has previously spoken about how much her relies on his fiancee for support. "She has been amazing. She's always there for me when I'm around," he told The Sydney Morning Herald shortly after replacing Michael Clarke as captain. "It's nice that you have some honest feedback to come home to all the time. She's been terrific for me over the last few years," Smith said. 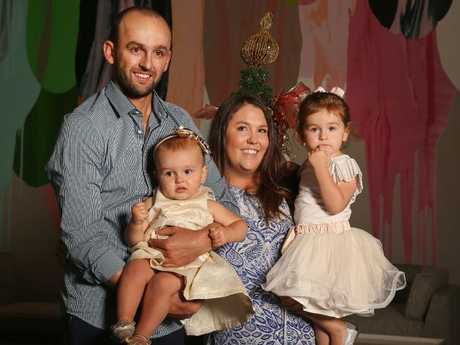 Mel Waring was in a relationship with Nathan Lyon for nine years, but they broke up last year when it was revealed the off-spinner had left her for a Perth-based woman, Emma McCarthy. The pair were photographed kissing inside a car ahead of the third Ashes Test in Perth. Mel has spoken extensively about her breakup on her blog Life of Lyons. "If anyone had asked me about my life at the start of last year, my answer would have been pretty simple. I was a 29-year-old woman, with two incredible little girls and an incredible partner who I endlessly loved and adored for nine years," Waring wrote. "For the past seven of those years, we have travel (sic) around the world. I have supported him and his dream of playing professional cricket for his country, raising our two gorgeous children, at home, in hotel rooms and on tour. Trying to making the most of our crazy, incredible life as a family unit of four. "A year ago, my life was perfect, except as I was about to find out, it wasn't. "In December of 2017 my world came falling down around me. Life as I knew it was over and my soulmate was gone, leaving me and our girls (aged three and four) to pick up the broken pieces and try to find a way to move forward alone. "Overnight I became a single mum to two children, overnight my world was rocked to its core and it changed forever." 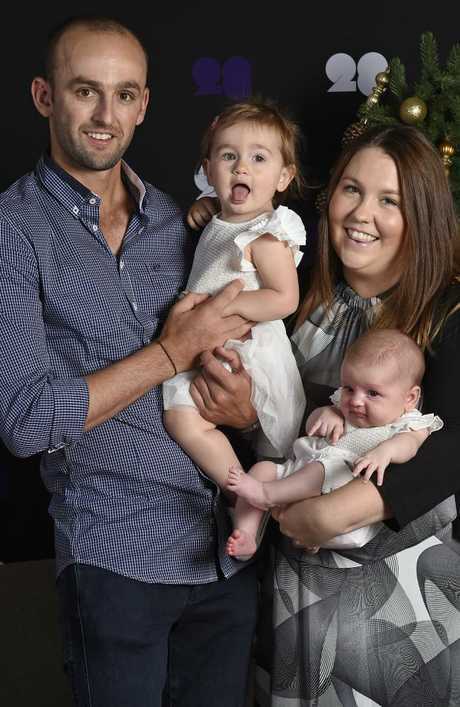 Rebecca is a 28-year-old Seven News weekend reporter, who gave birth to the couple's son Austin in 2016. The family travel everywhere together and just returned home from South Africa after this week's scandal. Travelling can be difficult with a toddler but Rebecca tries to make it work so they all spend as much time together as possible. 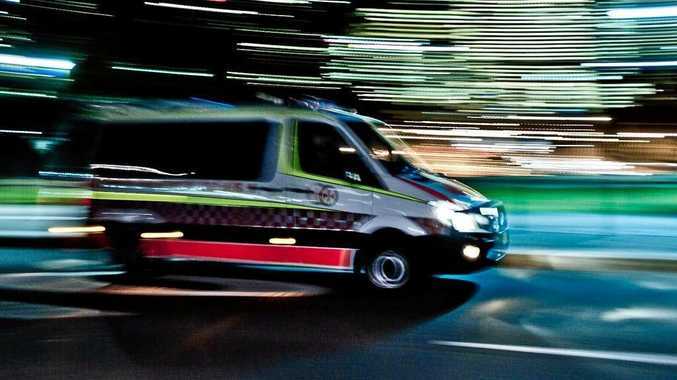 "I think everyone can tell you all these things to prepare you but until you actually have a baby, you don't know what it's like," she told Perth Now last year. "They're like a permanent attachment to you. So Austin's my little sidekick and he goes everywhere with me. She said being married to a cricketer meant she had become used to an uncertain schedule. "The hardest thing to get used to is that life is always planned about a week or two ahead," "You never know what's in store." 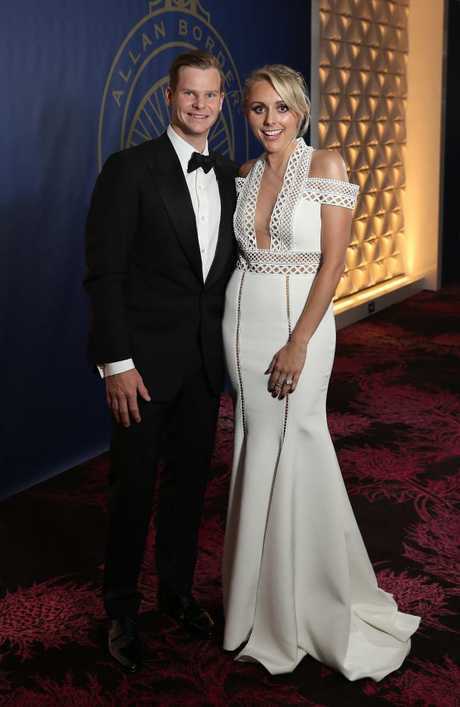 Rachel became engaged to her partner, Pakistani-born Australian cricketer Usman Khawaja, in 2016. Rachel works in marketing and event management but has also grown her Instagram following to 18,000 and often spruiks products via her social media accounts. The couple are set to get married this year and frequently share super-cute selfies on Instagram. David and Candice Warner in South Africa.